I had no idea that Can’t We Talk About Something More Pleasant? 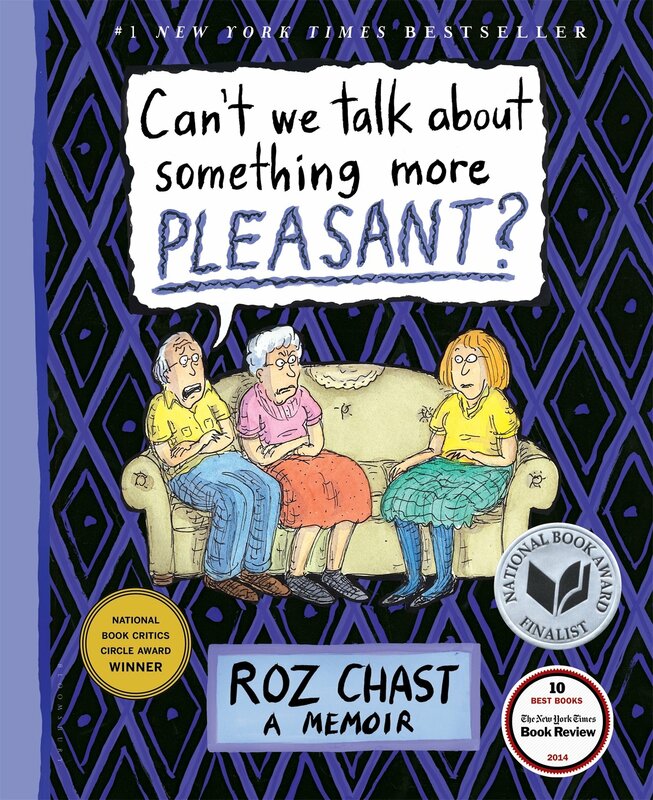 by Roz Chast was going to be a graphic novel. I should have known, however, since she is that ubiquitous New Yorker cartoonist. The memoir has gotten such great reviews, that I thought I would give it a try. If nothing else, it had to be a quick read. It certainly was a quick read, but surprisingly moving and sad. At times, I was taken aback by Chast’s almost blase attitude toward the imminent death of her parents, but I admired her honesty as well. This is definitely worth a read (it only took me an hour), but prepare yourself for tears.